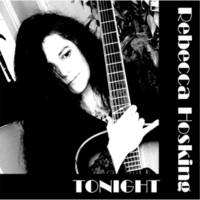 Rebecca Hosking just released a new Single titled “Tonight” and it has gained the attention of Radio stations in the UK and the United States. Clear Channel (the nation’s biggest radio station owner), iHeart Radio (an Internet radio platform owned by iHeartMedia, Inc.), and Department stores across the US will now be adding Rebecca’s “Tonight” to their rotation and you can hear a one minute snippet on her Pack Page, as well as download it. With an up tempo Country Pop flavor and her silky smooth vocals, Rebecca will soon be wowing listeners in all the major commercial markets throughout the US and the UK. Don’t be left behind…get your copy today! PS: If you would like to help Rebecca out…give your local radio station a call and put in a request for “Tonight” and your other favorite songs by Rebecca Hosking. Wolf Man You are the BEST!!! Thank you so much for everything you do for all of us INDIES!!! It is ALWAYS my pleasure to help spread the good news Rebecca! I am sooooooooo proud of you! Congratulations to Rebecca. Over the months she has worked hard to get her music heard around the world and be loved by her fan base. Here at Fame Music Radio we will always support Rebecca and follow her career and also wish her success and bigger things to come in the years ahead.